ComplyAssistant helps your organization with vendor risk management, using cloud-based software to audit your third-party business associates. Need help with vendor risk management? The HIPAA-HITECH Omnibus final rule makes business associate (BA) monitoring a required component of your HIPAA risk analysis and management process. Did you know that a typical healthcare facility can have hundreds of BA agreements? That makes vendor risk management quite a daunting task, especially if you’re doing it manually with limited resources. There is an easier, more efficient way to handle your facility’s vendor risk management process – with ComplyAssistant. Our platform can help your organization manage a high volume of BA audits with management by exception. Using our software makes it easier to manage the process on your own, or our healthcare compliance consultants can perform audits on your behalf. Read on for more on how vendor risk management with ComplyAssistant works. Yes, you read that right. Unlimited. With ComplyAssistant’s cloud-based healthcare compliance software, you can collect data and communicate securely with an unlimited number of BAs to assess risk. With our software, your BAs can complete surveys and upload them directly into the online portal. Even with hundreds of BAs, not all of them are high risk for HIPAA breaches. Each BA’s level of risk depends on its scope of service. For example, do they create or host protected health information (PHI)? Or, do they access, use or disclose PHI? ComplyAssistant’s vendor risk management solution identifies BAs as high, medium or low risk, depending on the scope of service as it relates to PHI. It also includes a filtering feature, which allows you to manage your BAs based on how they rate from a risk perspective. 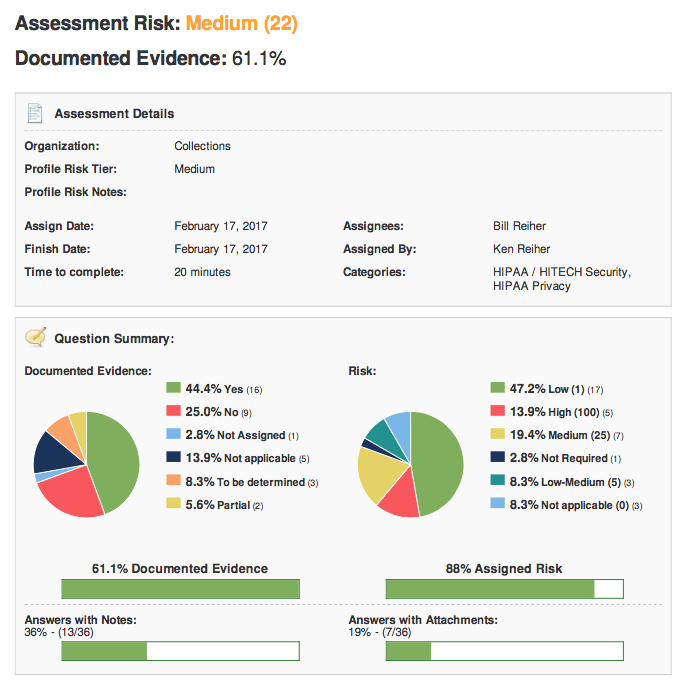 By analyzing risk level, you can focus your resources on managing the most high-risk vendors and create action items for mitigation. After your initial assessment, ComplyAssistant will even help you calibrate future assessments to be even more efficient. Have you tried manually sending email reminders to all of your BAs? With so many vendors to keep track of, this is a nearly impossible task in your vendor risk management process. Unless you have ComplyAssistant. Our software reduces operational time and cost by automatically reminding BAs to update their assessment information. For even more accountability, we audit email delivery success and bounces, so you can keep track of who received reminders. Want to analyze trends and follow up on action items? You can export detailed reports and summary reports for each BA in your system. 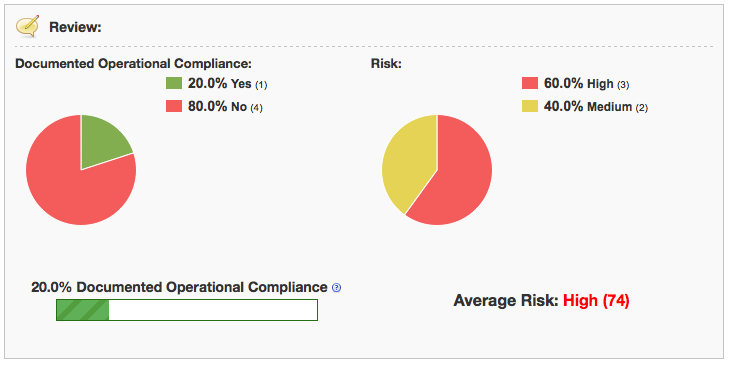 These visual reports make it easy for you to manage the assessment process with each vendor. We’ve handled vendor risk management for a variety of healthcare organizations. Ready for a vendor risk management consultation? For more on why healthcare organizations should automate their vendor risk management, read our blog post.